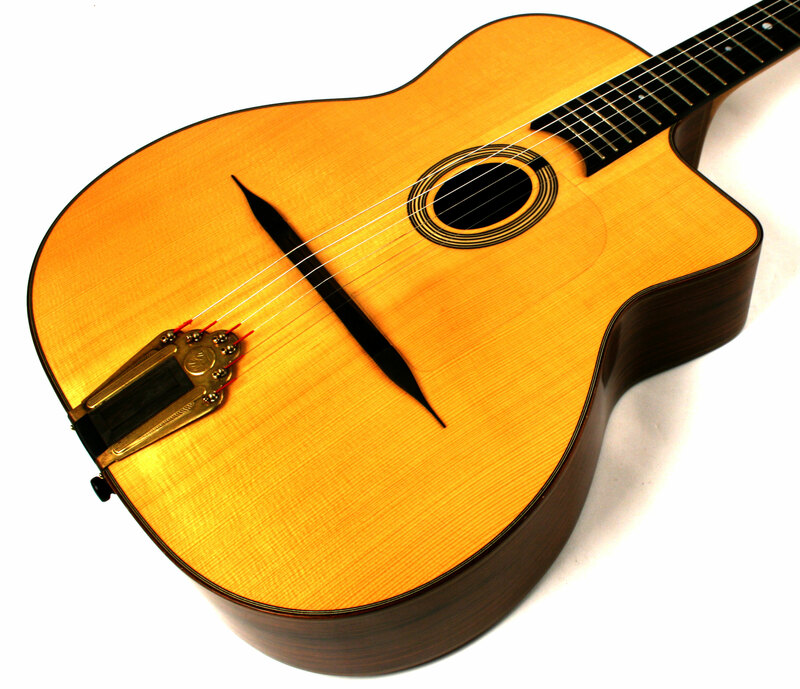 Excellent example of our best selling guitar! The MD50 is Maurice's standard Selmer copy which is based on the same specifications as the legendary Selmer guitars produced from 1932-1951. 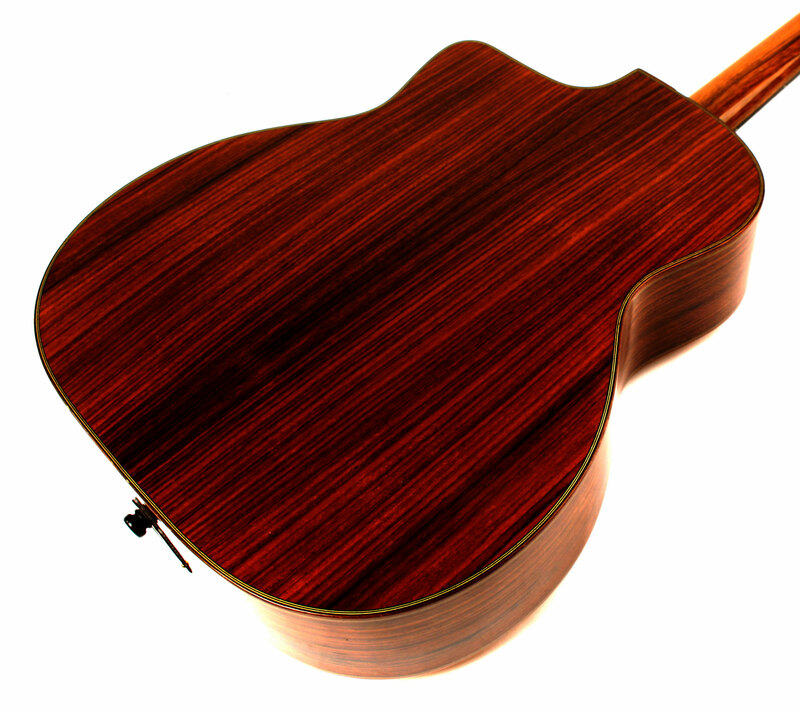 This instrument features Indian rosewood back and sides, a French spruce top, and a walnut neck. Dupont's are known for their clear, dry tone and this instrument is no exception. Each note is well defined and projects well, without any of the annoying overtone ringing or muddiness that lesser guitars suffer from. 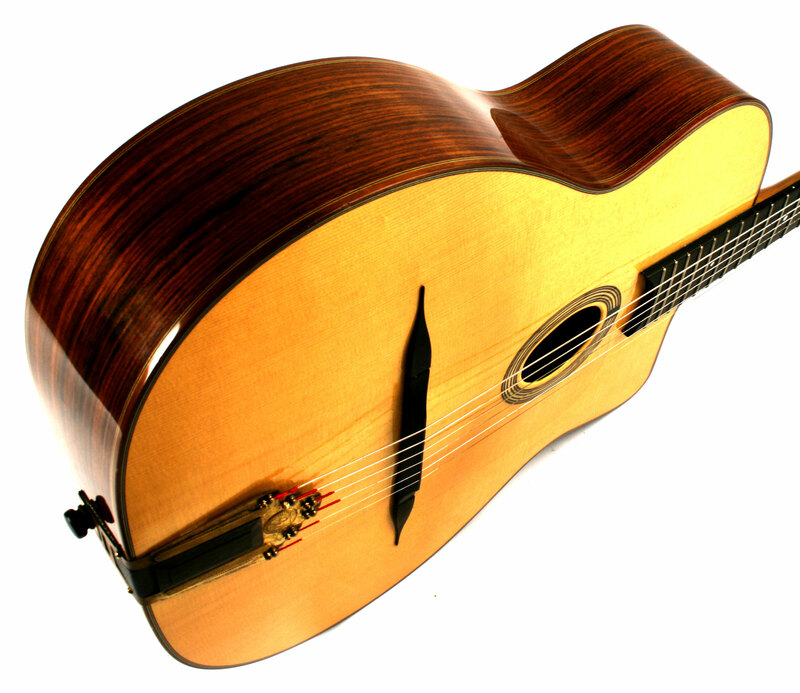 Maurice's precision fretwork and neck geometry allow for easy playing low action which enables one to play even the most difficult passages with little effort. 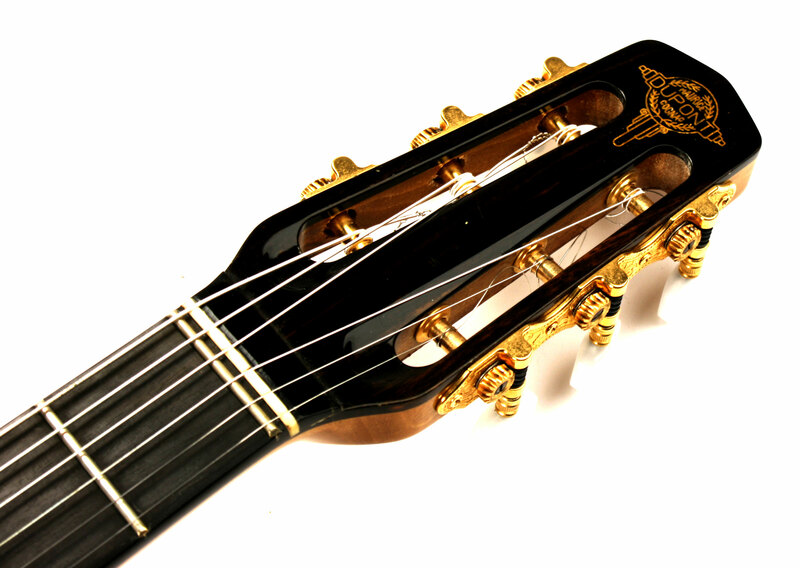 For these reasons, the MD50 has long been the "go to" guitar for professional Gypsy jazz guitarists. It has the most traditional Selmer tone and the best quality workmanship and materials that one can find in this price range. For these reasons it's our best selling guitar! 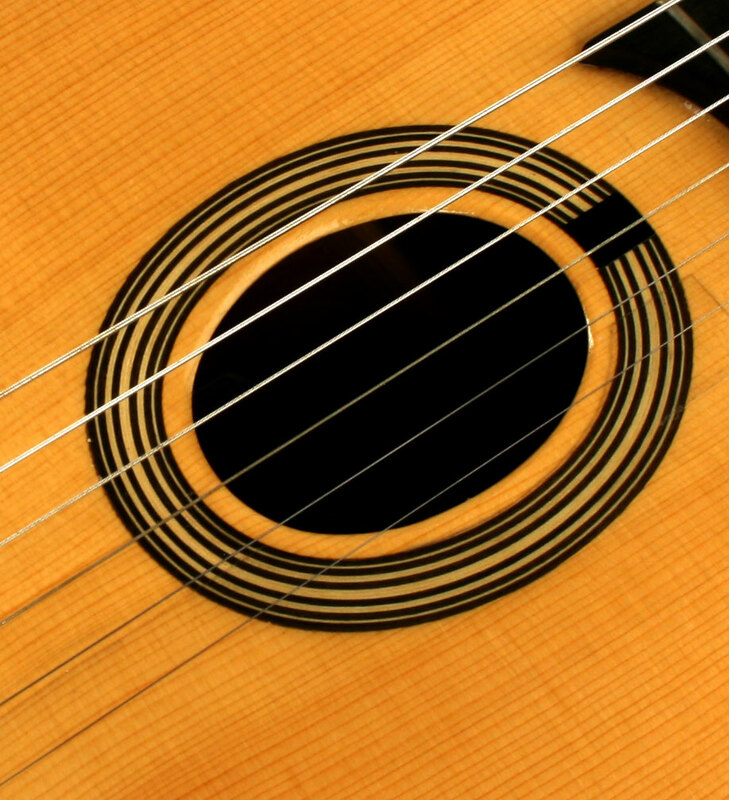 This used example has some small dings throughout the guitar and some pickwear on the top. The frets have some wear but still have a fair amount of life left in them. 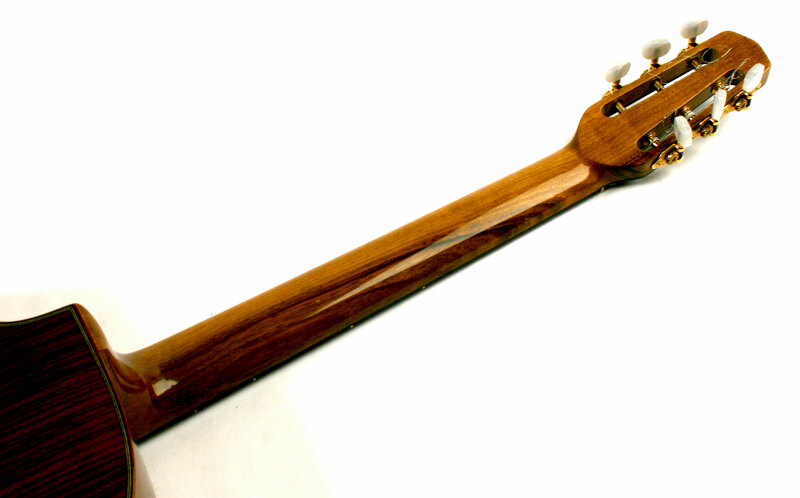 There is a top crack running from the fingerboard to the soundhole which has been repaired and is stable. A fantastic price for a very well preserved example!